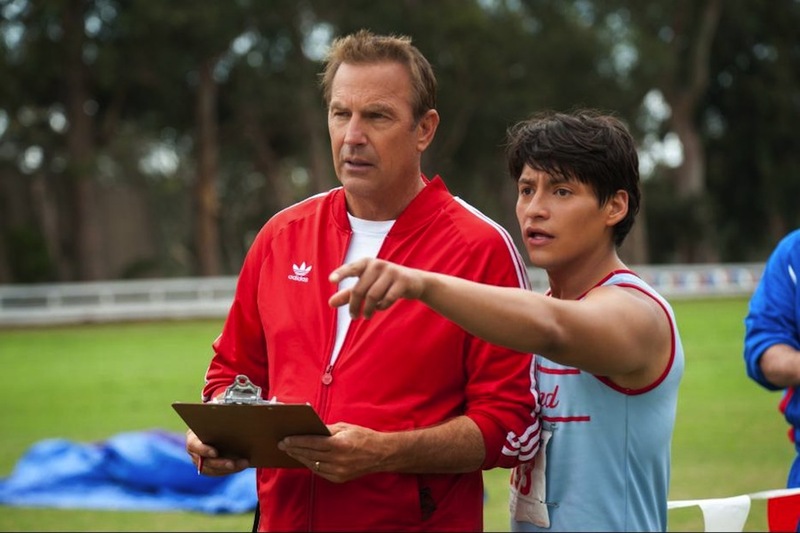 Written by Grant Thompson and directed by Niki Caro, Disney’s “McFarland, USA” is a wonderful, inspiring true life story dealing with life, love, sports and the endurance of the human spirit. 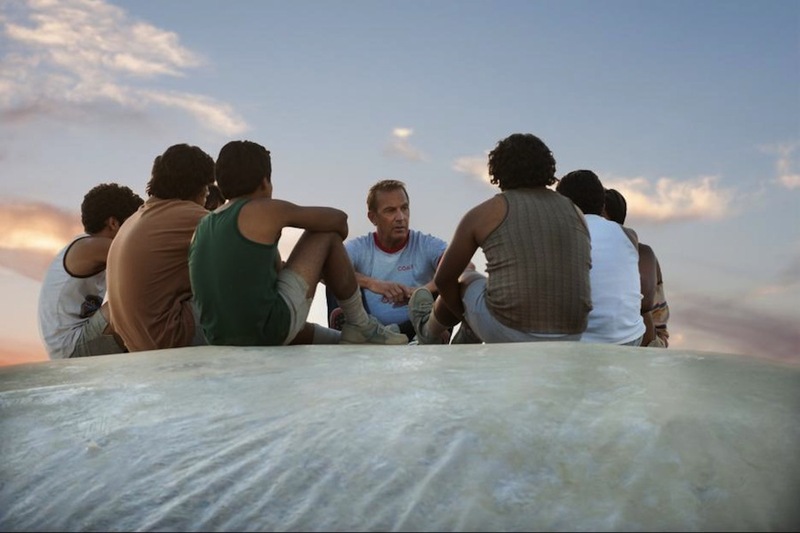 The film stars: Kevin Costner, Maria Bello, Carlos Pratts, Morgan Saylor, Martha Higareda, Valente Rodriguez, Vanessa Martinez, Chris Ellis, Johnny Ortiz, Hector Duran, Sergio Avelar, Michael Aguero, Rafael Martinez and Ramiro Rodriguez. 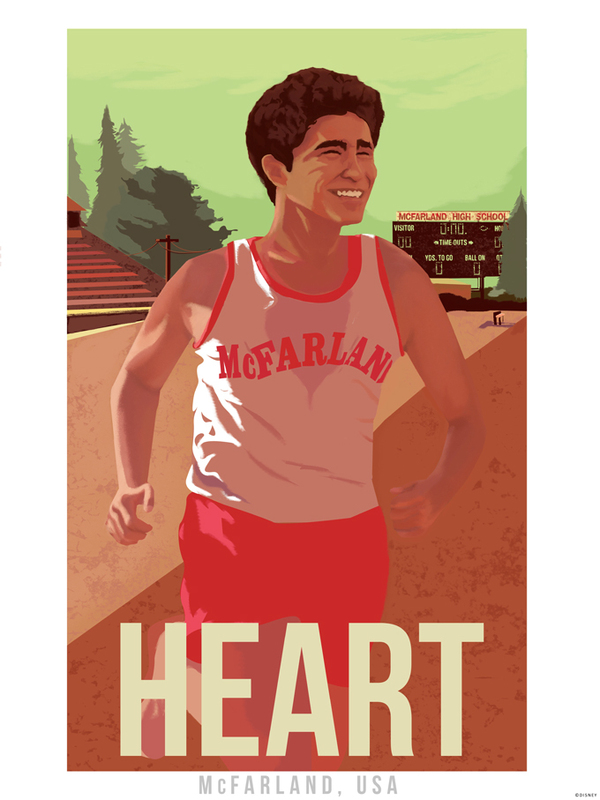 Inspired by the 1987 true story, McFarland follows high school coach Jim White (Kevin Costner), whose job-hopping leads him to predominantly Latino McFarland High School, located in an agricultural community in California’s farm-rich Central Valley. 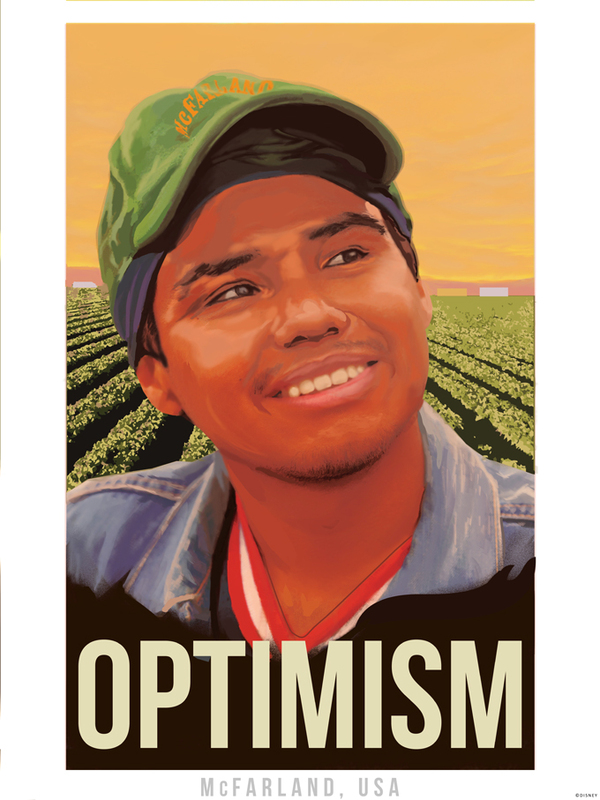 Jim knows he has to make this shcool his last stop – he’s out of options, with both his career and his family and finds himself in a diverse, economically-challenged community that feels worlds apart from his previous hometowns. Admittedly, the White family and the students have a lot to learn about each other — but when Coach White notices the boys’ exceptional running ability, things begin to change. Soon something beyond their physical gifts impresses White – the power of family relationships, their unwavering commitment to one another and their incredible work ethic. With grit and determination, Coach White’s unlikely band of runners eventually overcomes the odds to forge not only a championship cross-country team but an enduring legacy as well. 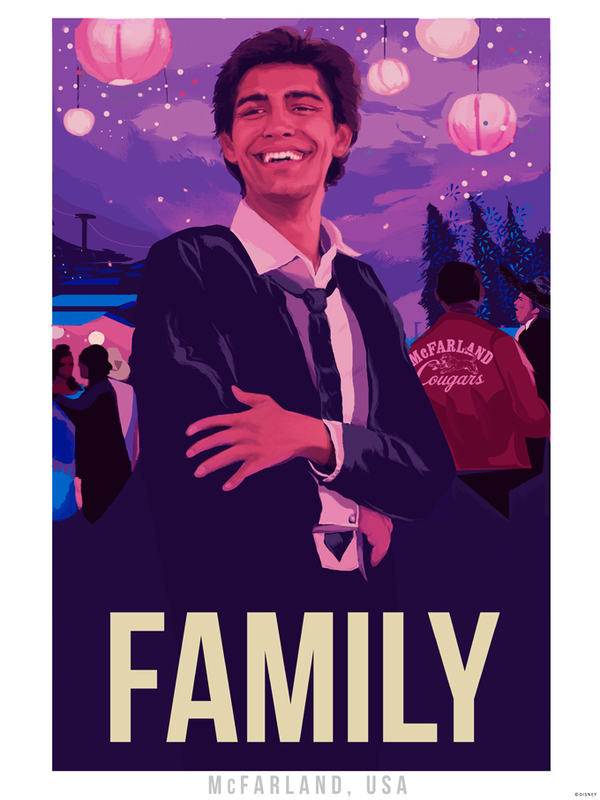 Along the way, Jim and his family realize that they finally found a place to call home and both he and his team achieve their own kind of American dream. 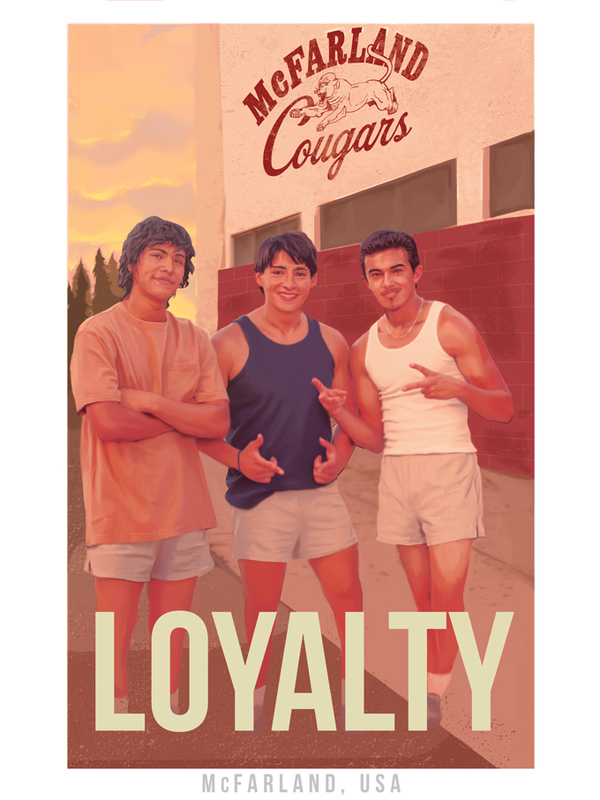 Fernando Reza was brought in to help capture the vibe of the film and he created eight stunning images based off the themes of the film including: community, swagger, optimism, loyalty, courage, strength, heart, and family. 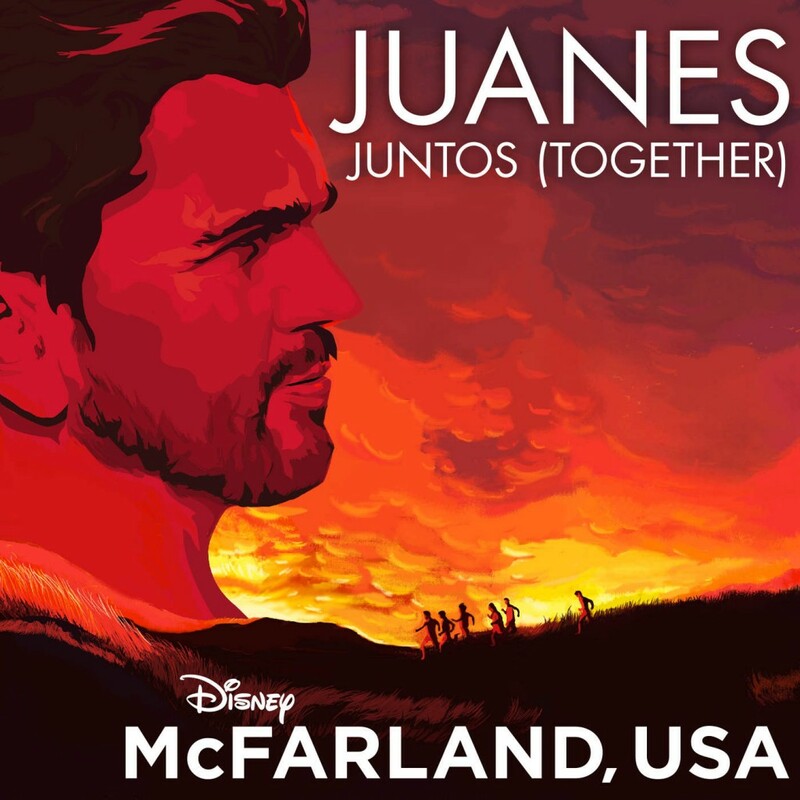 Fernando’s style and color palette are perfect, spot on and after you see the film, you will absolutely agree. We asked Fernando about the project and here is what he had to say about this amazing opportunity. 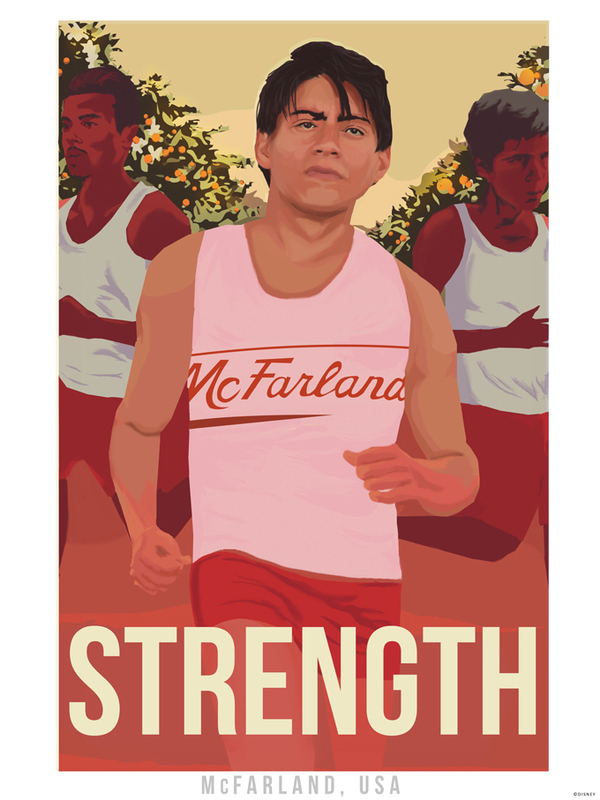 The thing about McFarland, USA that stood out to me from a visual stand point is how beautifully it’s shot. The skylines at different times of day, wether its the kids getting up at dawn to pick, or them running as the sun is setting, the outdoor scenes are stunning. 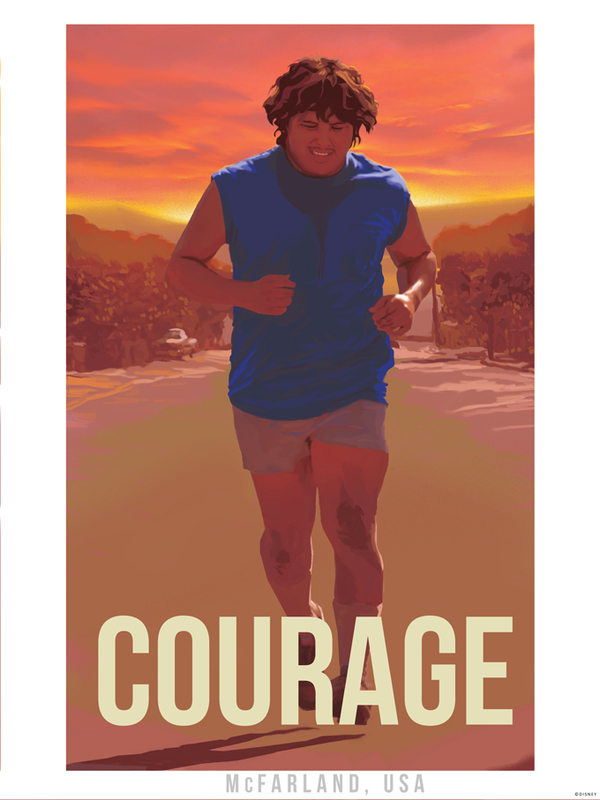 The movie takes this very personal and inspiring story and gives it a really epic quality. And their story definitely lives up to it; their work ethic, their commitment, it’s really amazing. 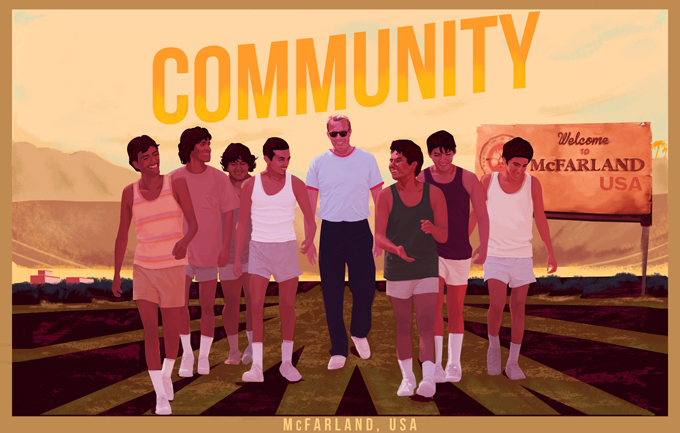 So we knew we wanted to highlight some of those qualities that the McFarland team and the community around them exhibit; courage, loyalty, optimism etc. 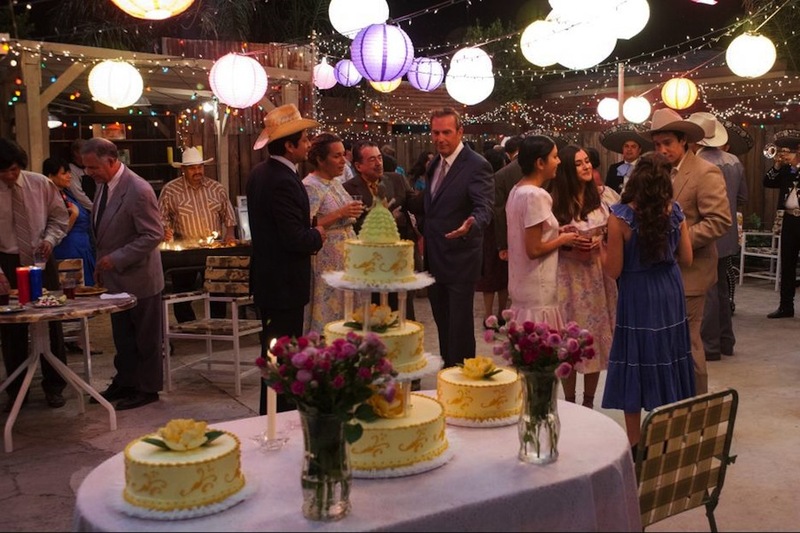 Also because mexican-american culture is so central to the film it was important to incorporate that aesthetic as well. So I drew a bit from Chicano Art and mexican muralism to get the bold warm colors and flat shapes. 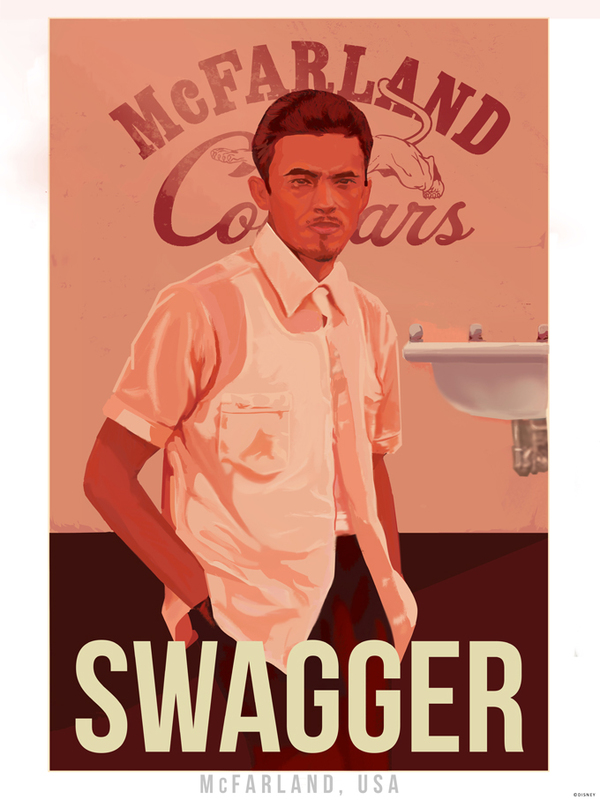 The idea was that these images wouldn’t be out of place painted on a wall somewhere in McFarland.